Army Staff Sgt. Michael Young was in the middle of his fifth combat deployment to Afghanistan last year when he and his fellow Rangers found themselves in an “terrifyingly chaotic” firefight from the moment they hit the ground that would last for hours. They were working alongside their Afghan counterparts on a nighttime raid after a high- value target, Young said. 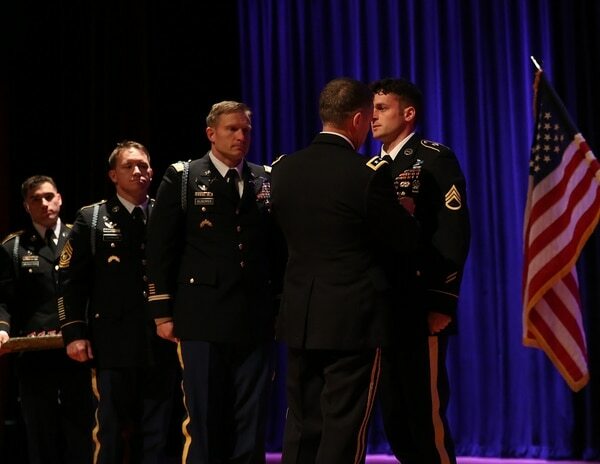 What Young, a squad leader in C Company, 3rd Battalion, 75th Ranger Regiment, did next would save the lives of 22 Rangers and result in his being awarded the Silver Star medal on Friday at Fort Benning, Georgia. The soldier's widow has been fighting for the upgrade for 20 years. The 28-year-old Savannah, Georgia native was no stranger to the Ranger community growing up near the home of the 1st Battalion, 75th Ranger Regiment. From high school onward, his goal was to be a Ranger. That was achieved shortly after he enlisted in 2011 and soon joined the regiment. 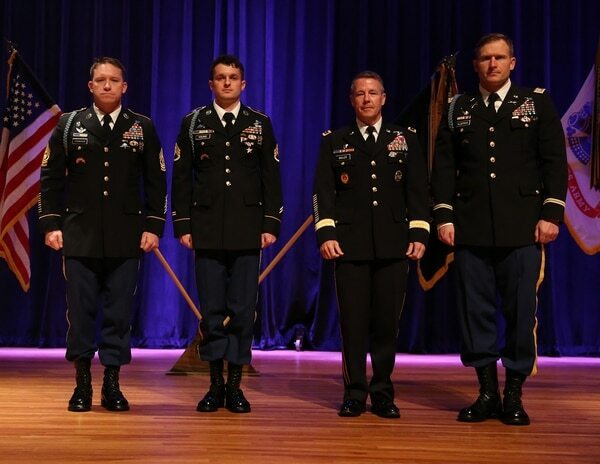 The Friday ceremony honored not only Young but also eight soldiers who received the Bronze Star for valor and 14 soldiers who were awarded the Joint Service Commendation Medal for Valor. Young’s team was operating in Nangarhar province at the time of the raid. 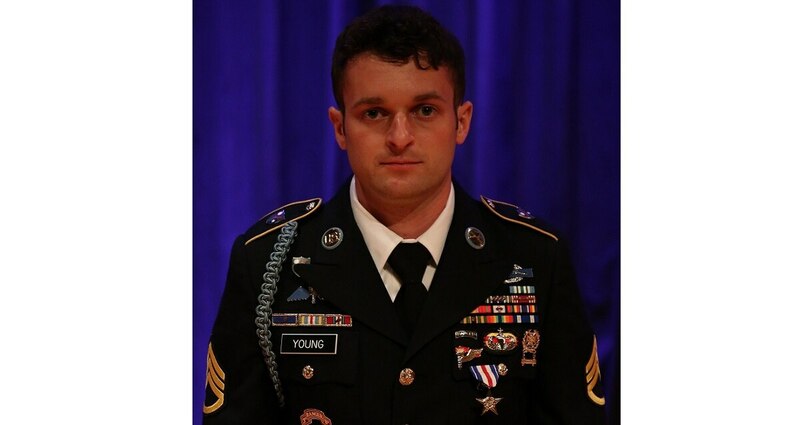 On April 27, 2017, the strike force “received intense and precise enemy fire simultaneously from multiple covered positions in all directions immediately upon a helicopter insertion,” read his Silver Star medal citation. He clambered up to the highest elevation point he could find, marked his position for the strike force and began reporting enemy positions for fire missions to knock out enemy targets. The ensuing four-hour firefight only rose in intensity, lasting into the night, Young said. He and his element were cut off from the rest of the strike force but Young continued to expose himself to fire, calling in several “danger close” engagements to call in air bombardments. That allowed the medical evacuation helicopter to insert and retrieve two urgent surgical patients. The staff sergeant said though not all the Rangers in the deployment nor the raid were presented with official awards, their efforts enabled him to do his job and vice versa. He called their work “monumental” and said the deployment’s success was a testament to the regiment and how it trains. “The training we conduct is always tough and gritty,” he said, and constant assessment allows them to maintain a high level of efficiency. “It really showed itself in that situation and every situation,” Young said.